Best way to add Vitamin K and C! Finish Line®’s K-C & More™ is the best way to add Vitamins K and C to your horse’s diet! 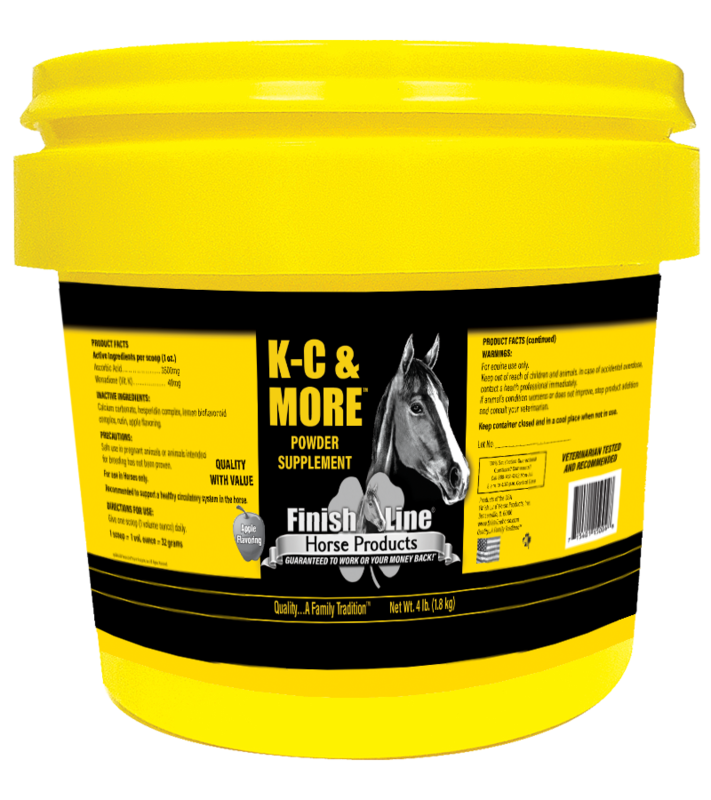 K-C & More™ helps promote healthy capillary strength in the horse.This product contains 50,000 mg/lb of ascorbic acid and 600 mg/lb of Vitamin K. Other ingredients include rutin, hesperidin, lemon bioflavonoids, and our unique apple flavor.